Live-In Care Agencies and Providers: Which to Choose? If you’ve got your heart set on live-in care for your loved one, the next question becomes ‘how do you find it?’ Is it worth going through a care agency, which usually charge additional fees, or should you search for someone to do the job yourself? If you do decide to go with an agency, how do you make sure it’s the right one with the right carers, and what sort of service should you sign up to? How do you ensure everyone involved will have your mother or father’s best interests at heart? There are two types of live-in home care agencies, those offering a full management service and those acting as an introductory agency. A full management care service will provide their own live-in carers and manage them throughout the placement with your loved one. The agency hires and trains its carers, overseeing everything from early risk assessment and the matching of client and carer, to care plans, salary, holiday pay and rotas. You or your loved one will pay the agency fees while the agency will pay the carer, meaning that you don’t have to worry about the financial and legal responsibilities of being an employer. A reputable care agency should screen its carers carefully to ensure suitability, as well as provide training and professional development for its care workers. Some carers will have special training in caring for elderly people with Alzheimer’s, Parkinson’s, MS, heart disease and stroke, for instance. 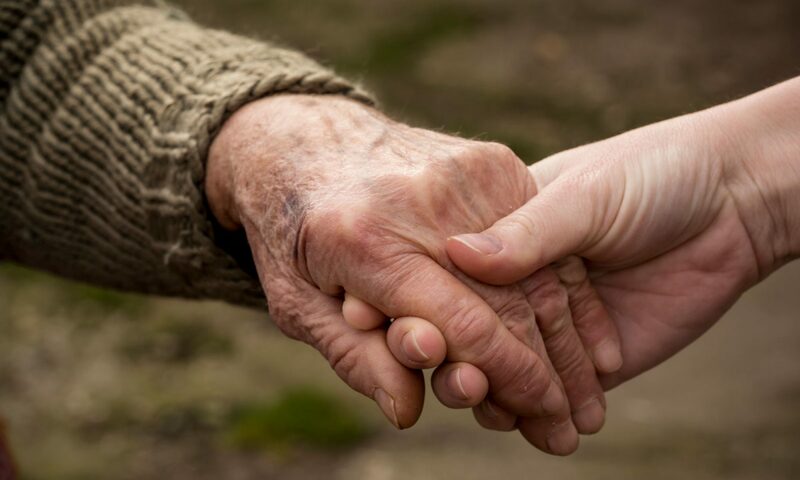 Advantages: The advantage of sourcing live-in care for your loved one through an agency is that you will always have someone to contact if problems arise and the care of your loved one will be managed on an ongoing basis. If the regular carer is ill, for instance, the agency will find a suitable replacement, cover too for holidays, ensuring your elderly mother or father’s care is not interrupted. Often care is delivered by two carers working on a rota basis (two weeks on, two weeks off), so more likely than not the person covering the absence will already be familiar to your loved one, offering continuing peace of mind. A full managed service may be the best solution for a busy family with other responsibilities (children, for instance) who would struggle to oversee daily tasks such as GP appointments alongside everything else. To check: Different agencies offer differing levels of training, so you should check what additional training they give to their carers. Ask too how they match clients with carers; clever matching should ensure the relationship between the two is productive and friendly. If you are looking to keep care costs lower and affordable, you may want to consider an introductory care service. Think of it more like an employment agency. Instead of the agency managing and overseeing all aspects of your loved ones care, they act more in an introductory capacity… they have details of professional self-employed carers on their books who they introduce to people seeking 24/7 care. Once you settle on a carer or team of carers for your loved one, you or your relative will usually pay the carer directly, and the agency will invoice for recruitment, vetting, registration and the introduction to your carer. Advantages: An introductory agency should in theory be cheaper to use than a full management service. The agency should still be able to ensure continuing care for your relative, as they will manage any changeover of carers, or source two or three carers to rotate throughout the year. This may be the best choice for those people who want to keep costs lower and have time to be more involved in their relatives’ care. To check: Each introductory agency will source and screen potential carers slightly differently. It is important that you know exactly what pre-employment checks they perform on the people who will potentially be living in close quarters with your loved one. Screening should ensure the caregiver is legally entitled to work in the UK and has passed the DBS (Disclosure and Barring Service) check, formerly the CRB check. The agency should also follow up at least two recent written references, and you will want to investigate what training and qualifications they look for in potential carers. If you have to pay for your own care or have the freedom of a personal budget to spend, you are, of course, free to find and hire your own live-in care provider. The main advantage of this is that it helps to keep costs down by avoiding agency fees. It’s not quite as easy or as straightforward as it sounds, however. Not only do you need to find the right person to care for your loved one – and if they have complex care needs that could be difficult – but you will be solely responsible for checking their references, ensuring they are legally allowed to work in the UK and getting a DBS check. Once you have hired someone, you will be classed as an employer, which means you will have to draft an employment contract, pay salary, sort out National Insurance and tax, and may have to provide some sort of pension arrangement or pay pension contributions. You will also need to make arrangements to cover for any holidays or illness that your carer may take, and don’t forget that they have lives too so they will want time off to spend with their loved ones. For these reasons, a lot of people choose to search for a carer via a dedicated agency who will do some, all or a lot of the above work for you. It’s easy to become overwhelmed with the complexities of arranging care, so this checklist of questions to ask a care agency or potential provider will come in handy. (This is obviously assuming that you have already ascertained they offer live-in private care). What background checks do you perform on potential employees? What training do you give them? How will you match the right carer to my relative? What charges will I have to pay in my situation? How do I contact someone out of hours? What insurance cover does the agency have? Do you follow National Minimum wage legislation? Will you carry out a home visit before the service starts, and can I and other relevant family members be involved in deciding the care plan? Can I see your policy for emergency situations? What cover is in place if the regular carer is ill, for instance. What regulatory or professional bodies are you a member of, or overseen by? The answers to the above questions should give you the facts, figures and information you need to decide if a particular agency is right for your loved one. Gut feel, however, should never be ignored. From your discussions with the agency or provider, you should be able to get a general impression of how the agency is run and the qualities or values it espouses, or how an individual operates. Makes you feel listened to. Everyone in the care industry should be attentive, understanding and friendly, interested in your thoughts and happy to answer questions. Their attitude towards you should give you the confidence that your queries are valid and you will be taken seriously. Wants to be fully informed about your loved one and his or her condition, likes, dislikes, preferences and prognosis. Such attention to detail is how a strong and relevant care plan is crafted. It can be a drawn out process so you should never feel rushed. Has happy customers/clients and testimonials to prove it. Testimonials are very important, positive ones demonstrate trust and good practice, while negative ones can flag up potential issues. Independent reviews are a good way to judge attitude and work ethic. Demonstrates flexibility. A reputable care agency or carer should not try to cram a ‘one size fits all’ approach onto its clients. They should understand that you may have special requests and want reassurance about certain elements of their care. Is happy to provide details of past experience. Both a live-in care agency and the person who will be providing the care should be significantly experienced in the field, and happy to show you their credentials, qualifications and more upon request.